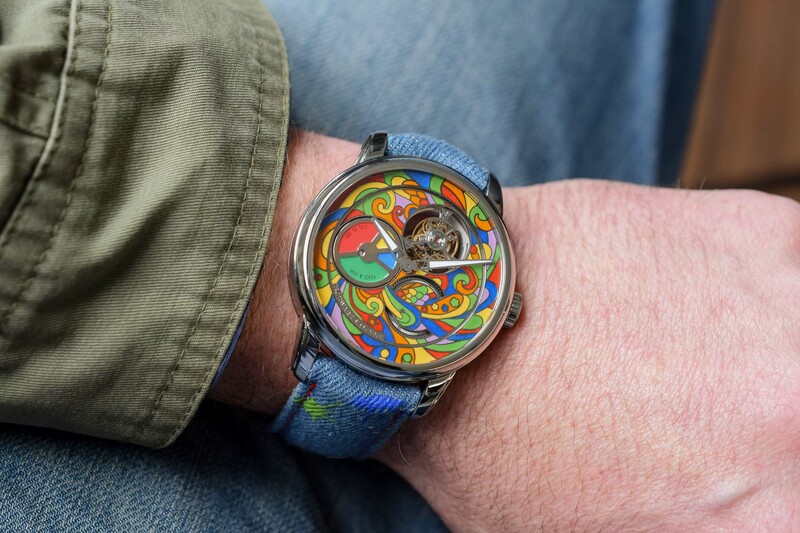 Tripping out with Schwarz-Etienne and its psychedelic enamel dial flying tourbillon. 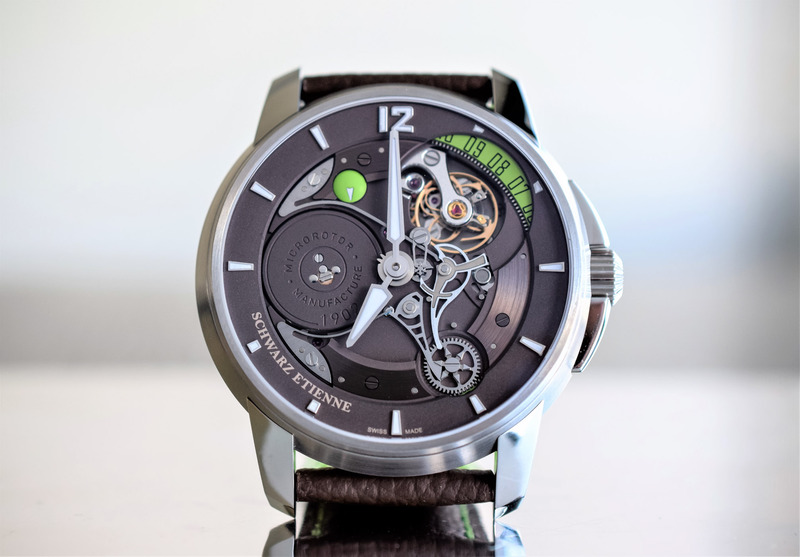 If Schwarz-Etienne is renowned for its production of great watchmaking classics, the brand also regularly releases highly creative métiers d’art timepieces, in particular with the Ode Series. 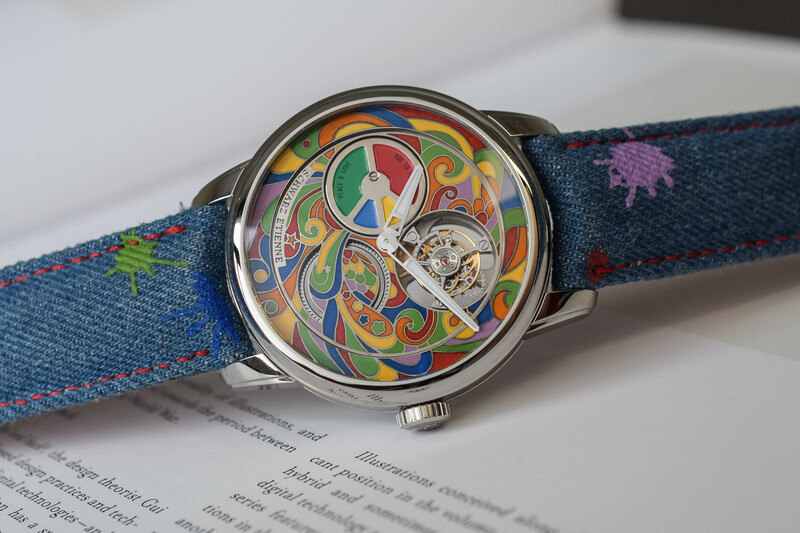 Following the “Ode to the Week” and “Ode to Spring” limited edition sets, the latest creation in the ‘Ode’ series is inspired by the psychedelic art of the seventies. 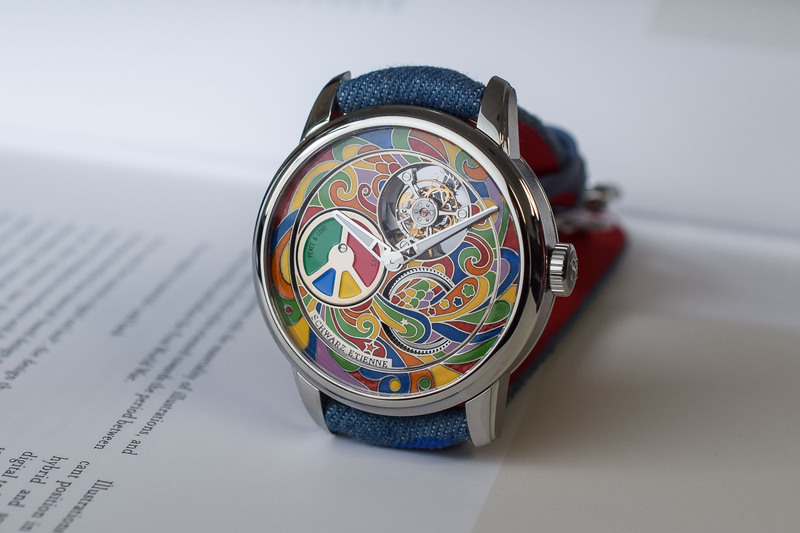 Featuring hallucinating vibrant shapes and patterns, the visually vivid dial of the Schwarz-Etienne “Ode To The Seventies” is hand-crafted in both cloisonné and champlevé enamel. Cloisonné is a delicate and time-consuming process. The enameller traces the contours of the patterns with fine gold wires (scarcely thicker than a human hair) on a gold plate. The cells created by these “cloisons” are then filled layer after layer with enamel and fired in a kiln. 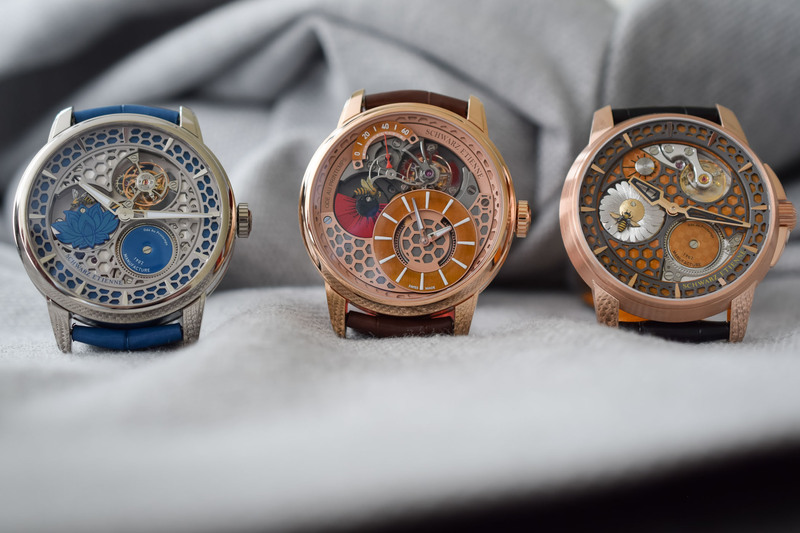 For champlevé, the process is similar but the cells are carved out of the dial. 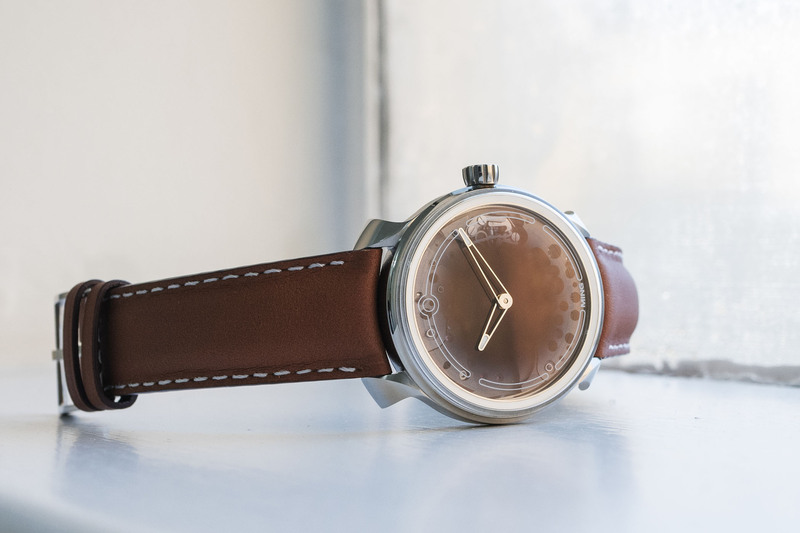 As each dial is crafted by hand, clients can customize their watch by selecting the colour scheme. The Schwarz-Etienne “Ode To The Seventies” is powered by the calibre TSE121.00 (TSE for Tourbillon Schwarz-Etienne). This large 30.4mm automatic movement stands out with its flying tourbillon, micro-rotor and ratchet wheel visible on the dial side. 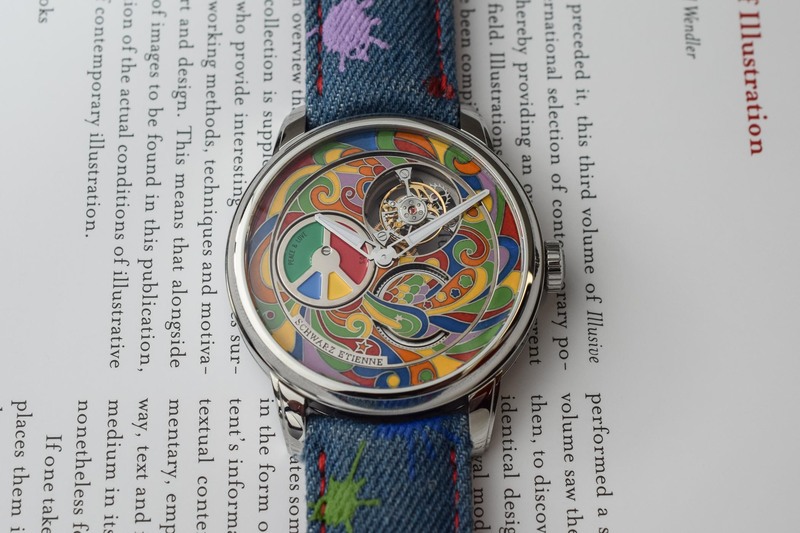 In this instance, the micro-rotor is decorated with a colourful “peace and love” symbol. 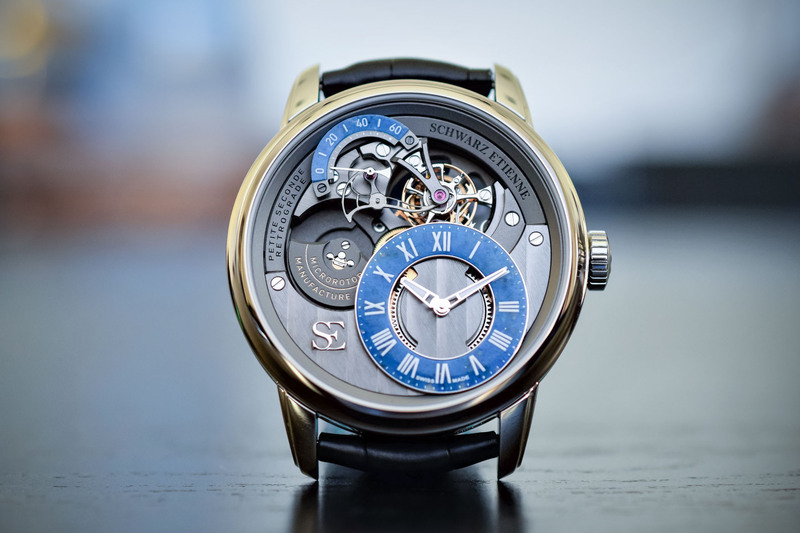 The oscillations of the micro-rotor and the ballet of the tourbillon add a lot of visual depth and dynamism to the dial. 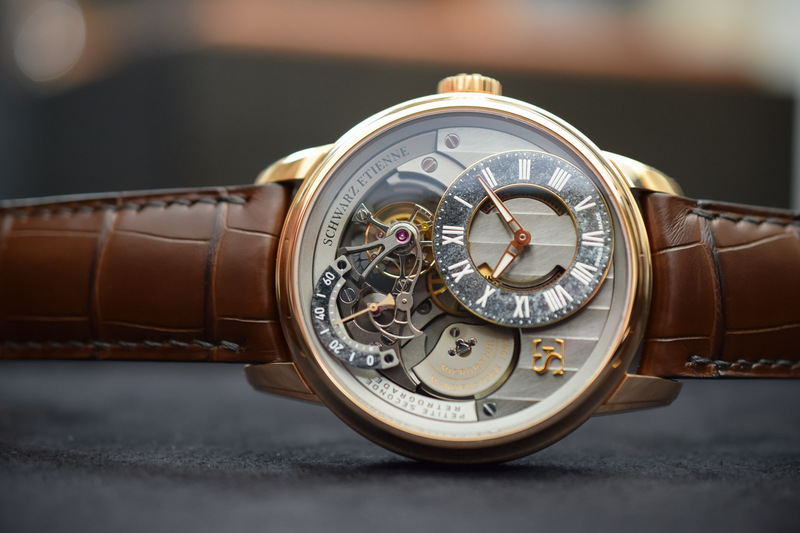 Like all Schwarz-Etienne movements, it is entirely manufactured in-house, including its beating heart, the balance wheel (that incorporates the SE initials) and the hairspring. 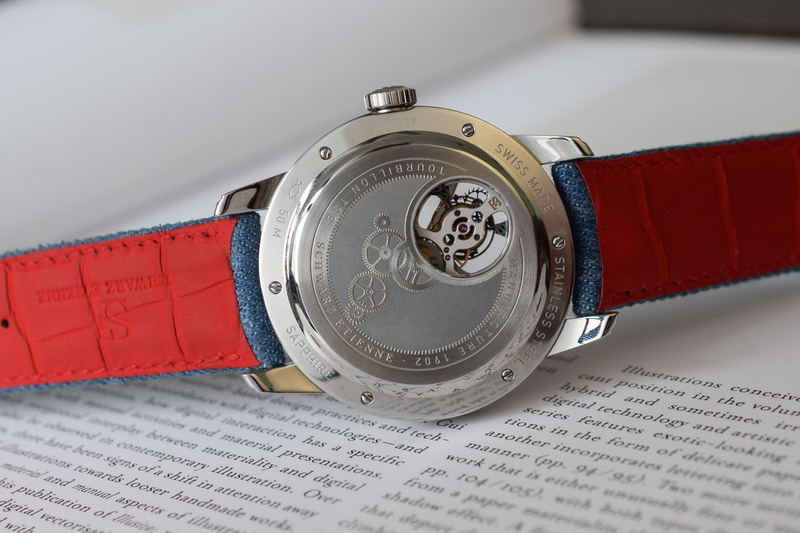 The Calibre TSE121.00 operates at 3Hz and delivers 3.5 days of power reserve on one barrel. 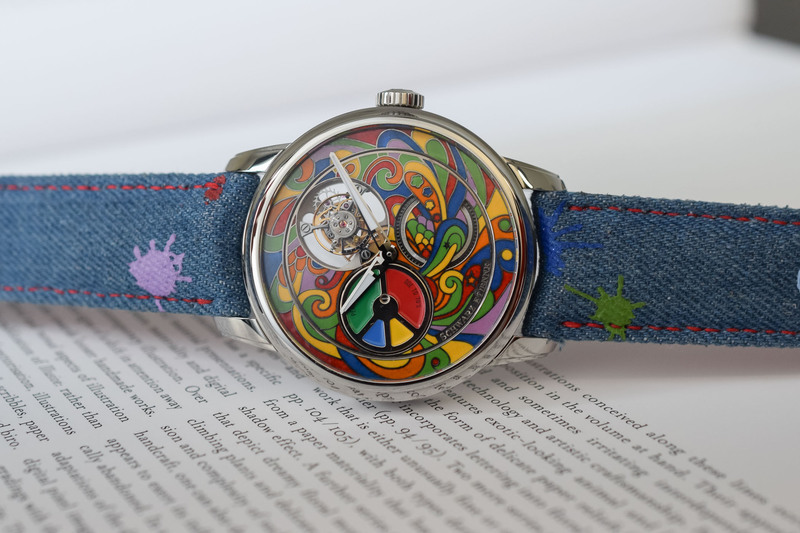 The Schwarz-Etienne “Ode To The Seventies” Flying Tourbillon is worn on a paint-splatter denim strap with red alligator lining. The folding buckle is in white gold. The price for this limited edition of 23 watches will be CHF 118,000. For more information, please visit www.schwarz-etienne.com.